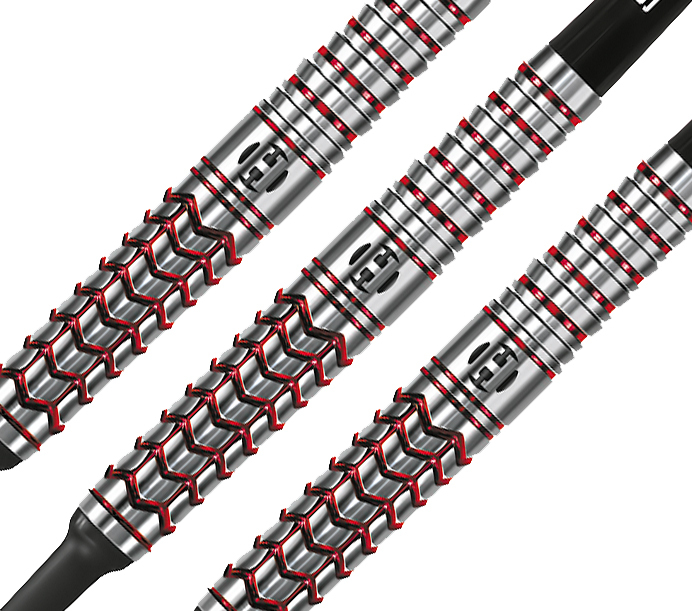 The Plexus dual grip concept is an intricate network of transverse and lateral milling with concave machining. 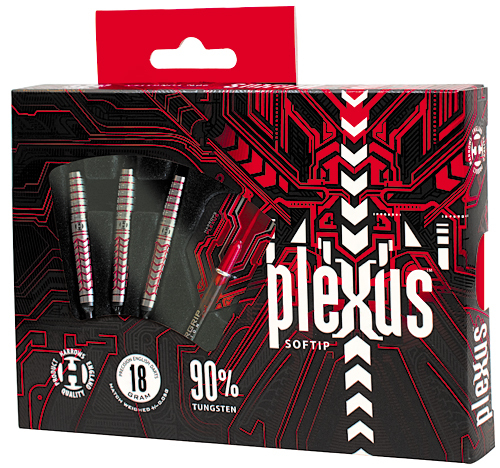 The darts are finished with a recessed cuts with vibrant metallic red coating. 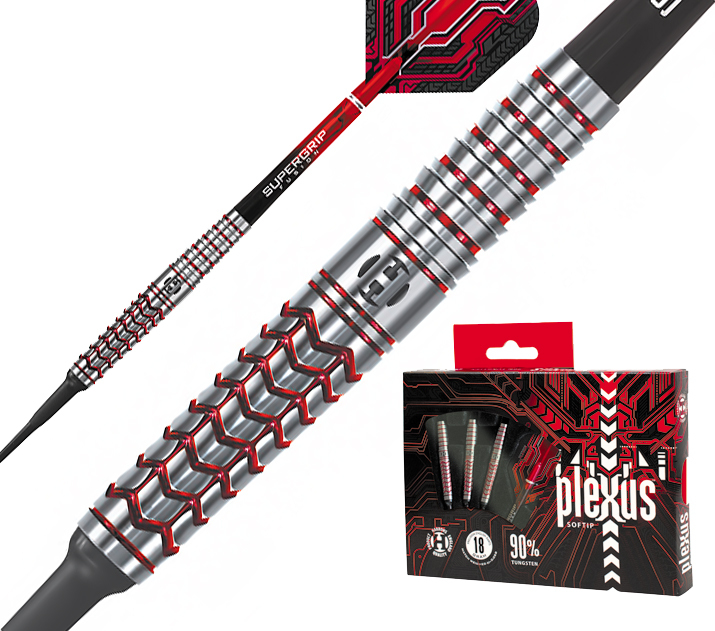 The darts are matched weighed + or - .05 grams and fitted with Supergrip shafts and Harrows Plexus flights..